This recipe is very dear to me and I was saving it for the holidays, but I love you guys too much not to share. This recipe came about through a conversation I was having with @chefseuny on Instagram. See, we are friends on Facebook and sometimes we have food banter. One day I made a Chinese pineapple bowl filled with ground beef and she asked, is that mince meat Ayamase? And ding! The idea began to grow in my head until I decided to make some one day. I mean, it can serve as our own version of Chinese sauce sha. Imagine turning a favorite past time recipe into staple and favorite (covers face). My favorite way to enjoy this sauce is by pairing it with soft fried plantains and rice. Not just any rice, but Ofada rice. Back to the recipe. It is very affordable and it’s full of flavor, flavors that burst into your mouth with each scoop. For this reason alone, it has become a staple in my kitchen. Roughly blend the peppers or until smooth. pour through a fine mesh sieve and drain out the liquid. You could also boil the mix to dry out the liquid. Pour some palm oil oil into a pot, cover with a tight lid(you could use the pot with a steam hole if you have one). bleach on medium heat for about 10minutes. Remove from the heat and let the oil cool(bleach until it looks like the color of honey). once cooled, heat up the oil on medium heat and pour in the onions, once the onions is dark brown but not burnt, add the locust beans and fry just for a few seconds until fragrant. Pour in the pepper mix, turn the heat to low and fry(stir occasionally) until the oil floats to the top. Add the meat stock and the ground beef, stir and check for seasonings. Fry until the oil floats to the top, stir in the cray fish powder and cook for another 2 minutes; then set aside. 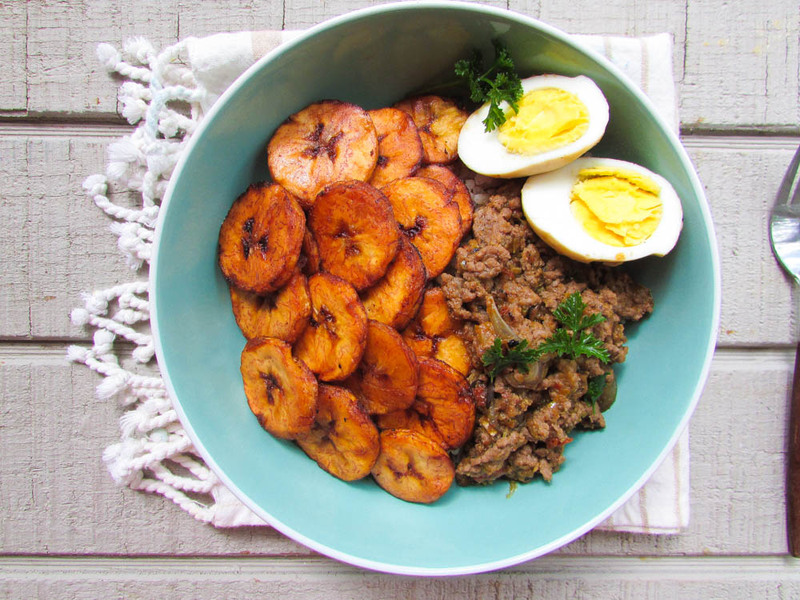 Enjoy with plantains and rice. This entry was posted in Beef stew, Meat stew, Nigerian sauces, Nigerian Stew, Nigerian stews, Sides, Soups, stew, Stews and tagged ayamase sauce, Nigerian food blog, Nigerian stew recipe, Nigerian stew recipes, ofada sauce recipe, palm oil stew recipe. Nma, fear God! As you posted this, do you have conscience?